Flickan / The Girl. 2009. SE. Sommaren 1981 blir en tioårig flicka lämnad ensam med sin faster när resten av familjen reser till Afrika på ett biståndsprojekt. Fastern blir snart uppvaktad och ger sig iväg med löftet att vara tillbaka om "bara" några dagar. Flickan hemlighåller att hon nu är helt ensam och sommardagarna går. Med skärpta sinnen upptäcker hon gradvis vuxenvärldens ofta absurda och ansvarslösa beteende. EN. The Girl (Swedish: Flickan) is a 2009 drama film from Sweden directed by Fredrik Edfeldt. It tells the story of a little girl (played by Blanca Engström) left alone at her home in 1981, while her parents and brother are on a trip to Sub-Saharan Africa to do charitable work. It won the 2010 Guldbagge Award for Best Cinematography. A young girl makes a world of her own while scrutinizing the one her elders have created in this drama. A nine-year-old girl (Blanca Engström) growing up in Sweden finds herself left largely on her own when her parent leave for a vacation in Africa, believing she's too young to make the journey. The girl is left in the care of her aunt (Tova Magnusson-Norling), but she doesn't care for the concerns and constraints of the adult world, and she spends most of the summer looking after herself. The girl explores the various nooks and crannies of her house that are foreign to her, and then heads outside to take a closer look at the neighborhood. Her neighbor Tina (Emma Wigfeldt), who is a few years older, is preoccupied with the rituals of adolescence, most of which bore the girl, but she does strike up a friendship with Ola (Vidar Fors), a boy her age who joins her as she walks through the woods, and helps her rummage through a barn and try to make sense of the larger community around them. 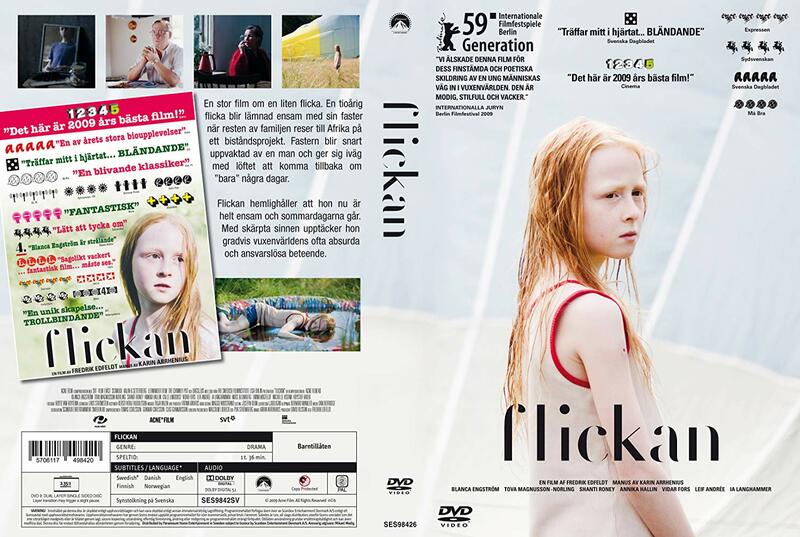 Flickan (aka The Girl) was the first feature film from director Fredrik Edfeldt. Cast: Blanca Engström, Shanti Roney, Annika Hallin, Calle Lindqvist, Tova Magnusson, Leif Andrée, Ia Langhammer, Krystof Hádek, Emma Wigfeldt, Michelle Vistam, Eleonora Gröning. Download Flickan / The Girl. 2009.